Everyone has to start somewhere. QUEENS Ice Rink caters for all ages of people wanting to get their skates on. CHILDRENS GROUP LESSONS - Welcoming all skill levels for kids that are 5 or over, our Learn To Skate programme will keep you kid active & improving with every glide. 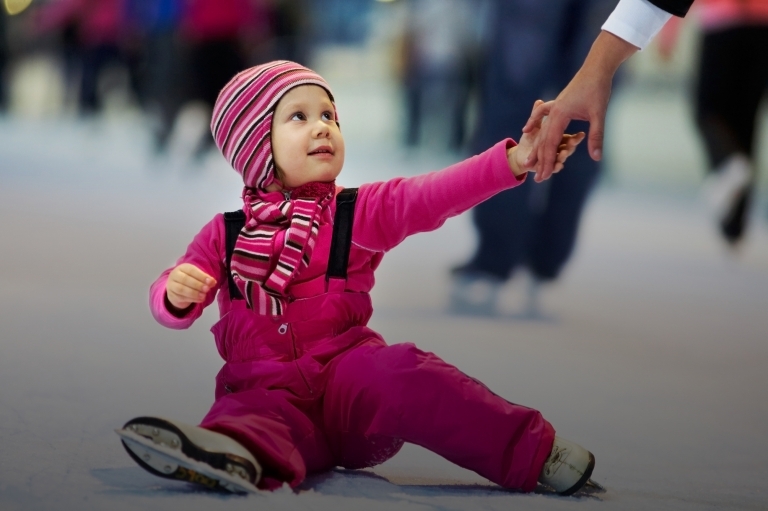 The QUEENS Learn To Skate series is accredited by NISA, the National Ice Skating Association and is part of their Skate UK programme. For more info, click HERE. PRIVATE LESSONS - Our team of National Ice Skating Association (NISA) registered, professional, instructors are self-employe and must be booked directly with them. To find out more about our coahes crew, click HERE. Please Note: Booking a private lesson does not include entry to the ice rink - this starts from £6 per person, for 2+ hours.